Red Dead Online, the multiplayer component of Red Dead Redemption 2 is finally out. That means it is time to grab your posse and roll on some unexpecting fools. For maximum success in your battles it’s in your best interest to roll with some sweet weapons. Here’s our weapons list for Red Dead Online. Note: RDO is currently in beta, expect this list to change. Updated to reflect most recent beta prices. 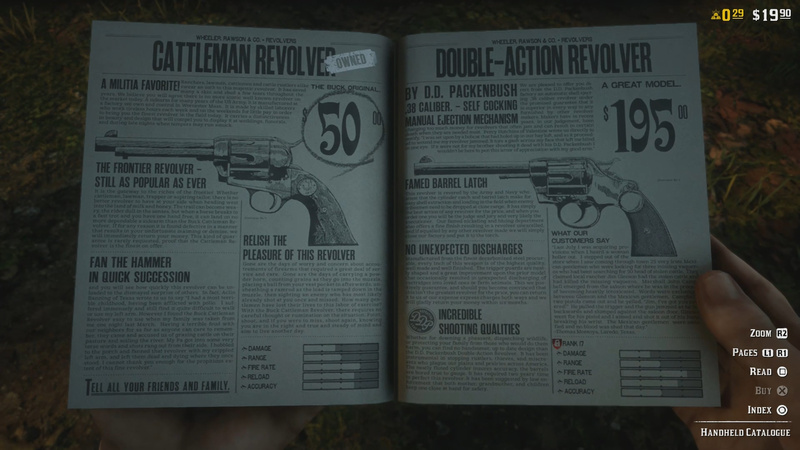 There are a number of Revolvers & Pistols in Red Dead Online. See the full list below. The Revolvers & Pistols listed below can be purchased through the handheld catalogue or at a gunsmith. There are a number of Repeaters & Rifles in Red Dead Online. 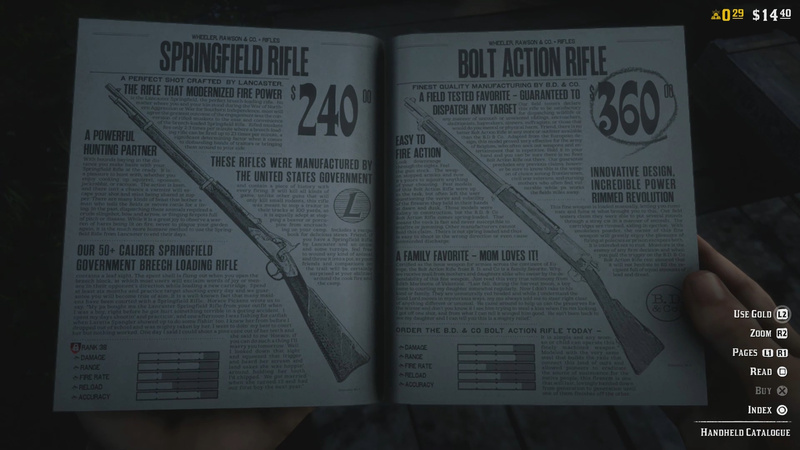 You can purchase the Repeaters & Rifles listed below through the handheld catalogue or at a gunsmith. 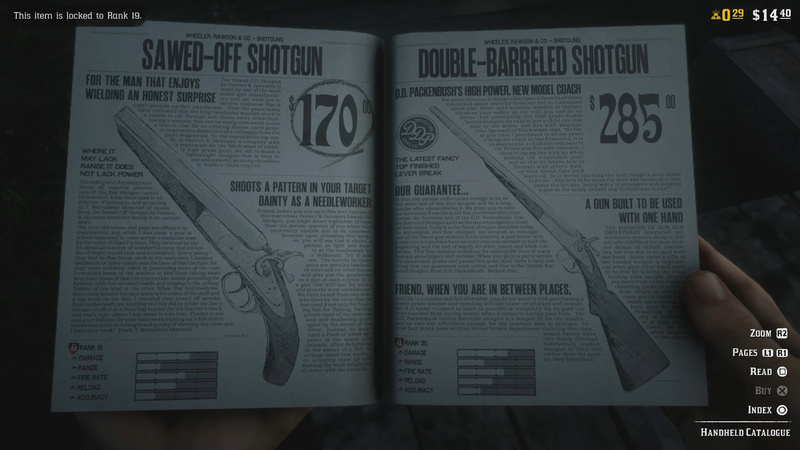 You can purchase a number of different Shotguns in Red Dead Online. 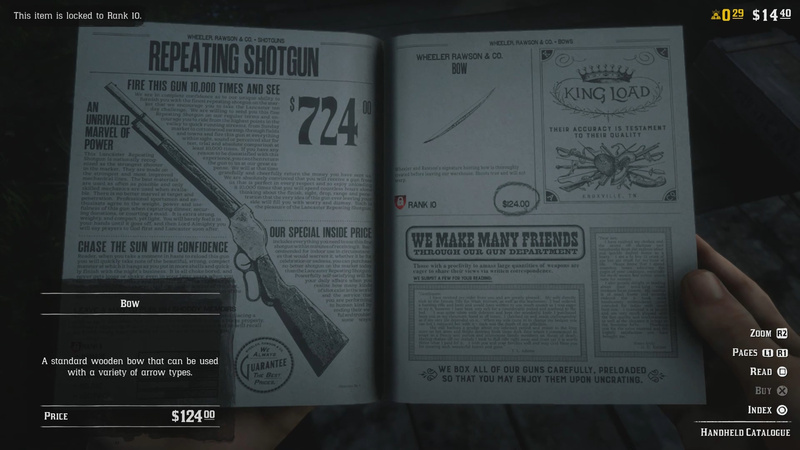 You can purchase Bows in Red Dead Online. More to add to our Red Dead Online weapons list? Let us know in The Pit below.